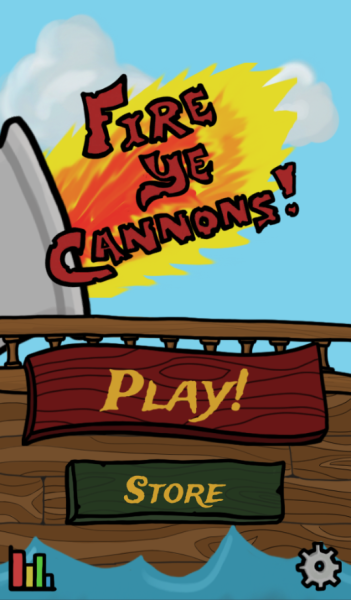 In Fire Ye Cannons, you are Captain Kneebone trying to find the island of Plunderer's Cove before other pirates can take your treasure! 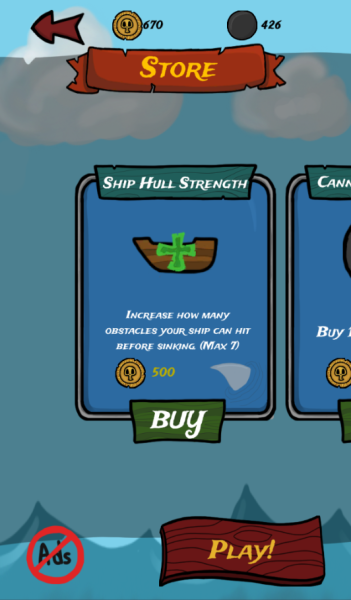 Upgrade your ship's hull to be able to take more damage and survive long enough to make it to Plunderer's Cove! 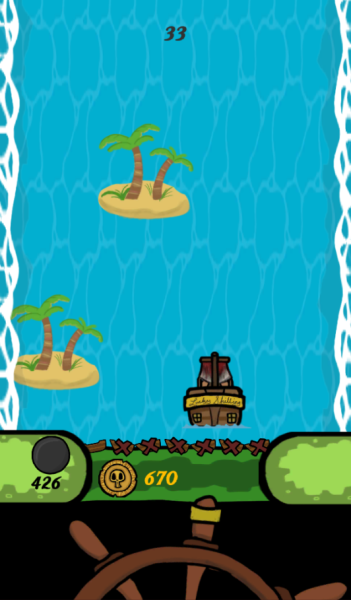 *Upgrade your ship to travel further and reach Plunderer's Cove. 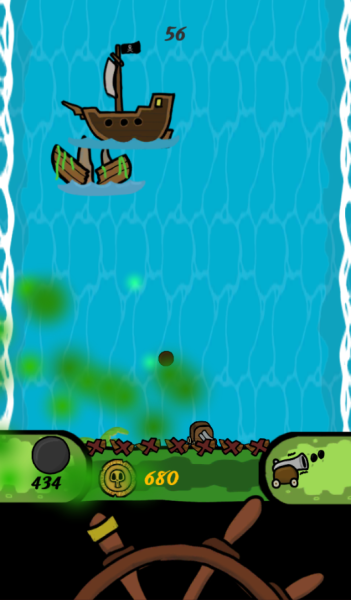 *Avoid obstacles or destroy them with your cannons. 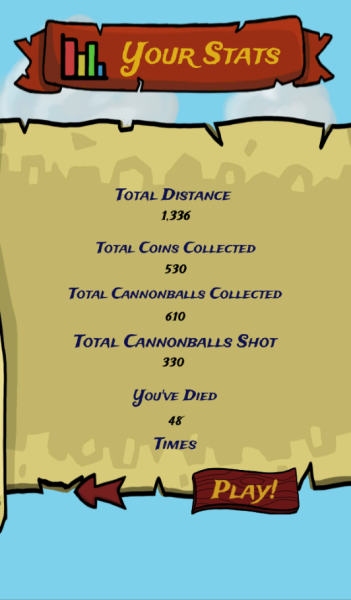 *In-depth stats to show how good your Captain skills are.